Freebie Friday is really taking off! Another huge response this week for our giveaway. This week you could have been in with a chance to win one of our Mini Me and Friends Activity tables worth a huge £32.99! This play table offers a range of features including buttons, levers and dials that produce a multitude of lights and sounds as a reward. The cute little train is an added feature that your little one will enjoy time and time again. The removable legs allow the toy to grow with your child and encourage your child to find their feet so they can stand and play. We had over 750 comments which I think must be our biggest response yet. Thank you to everyone who liked, commented and tagged a friend to spread the Freebie Friday love. We appreciate every single in interaction. So… a winner has been chosen and random and we can announce the lucky person is…’jolenemycrazyfamilyof5′ Congratulations! Why not stop and take a look around our new look website. We have our new HUSH-LITE travel cribs up and ready for dispatch. Retailing at just £59.99 and free UK delivery we have them in a choice of grey, blue, cream and pink. Perfect for any room in the house or to take away with you whilst the handy carry bag helps keep your crib clean whilst on the move. Click the product to the right to take you to the page and take a look for yourself. 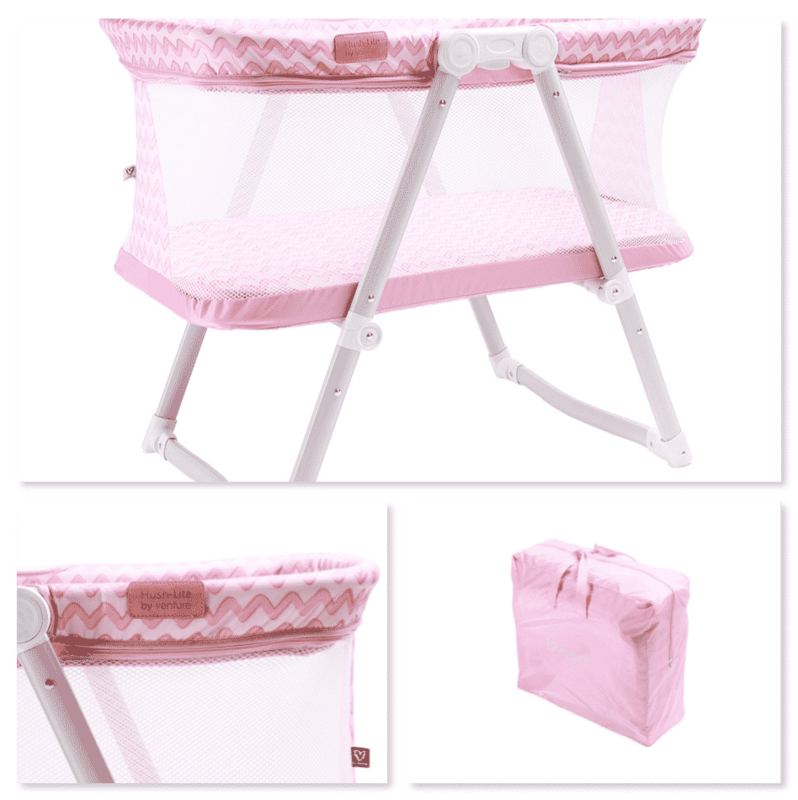 Our new HUSH-LITE travel cribs just £59.99!